Witches are usually scary and creepy, but Macbeth is happy to hear three witches tell him that he is going to be king one day. After this prediction, his wife, Lady Macbeth, gets impatient sitting around waiting for the current king to die. She prods Macbeth to kill the king (now who is scary and creepy). Macbeth contemplates the murder. If the assassination didn’t come with any consequences, Macbeth would love to be king, but killing a well-liked king is very bad karma. Hautboys and torches. Enter a Sewer, and divers Servants with dishes and service, and pass over the stage. Then enter MACBETH. This Thanksgiving, the humans have been incredibly busy in the kitchen and it smells amazing! 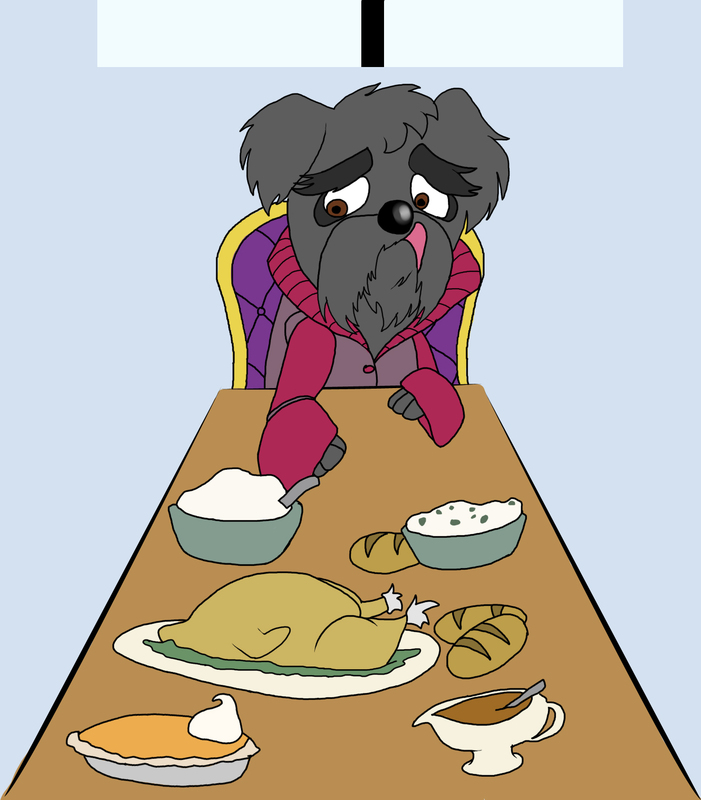 Just as the table is finished being set, the food is left alone with Macgruff. He contemplates whether to jump up on the table and eat the food. It would be an amazing feast if there were no repercussions, but spoiling this dinner is bound to get him a date with punishment. Thanksgiving Dinner. Enter humans with dishes and service, and pass over the stage. Then enter MACGRUFF. Romeo and Juliet – O Romeo, Romeo! wherefore art thou Romeo? Antony & Cleopatra – Sir, I will not be bathed, I’ll not be trimmed. Sonnet 18 – Shall I compare play to a rawhide bone? The Merchant of Venice – Fair turkey bacon’s pack!